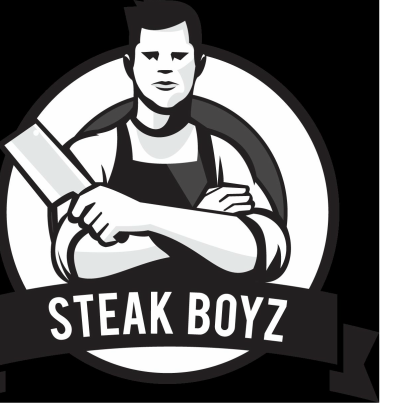 One of Cape Town’s older steakhouse establishments and located at the Cape Town City Lodge on Bree Street, The Famous Butchers Grill was last visited by the Steakboyz in 2012. On booking the night and briefing the manager on how our monthly precision operation is literally all this group lives for (not really, but kinda), he really jumped at the chance to showcase the restaurant and ensure our evening was memorable. Situated in a hotel there is enough of a separation between hotel and restaurant to make you feel like the restaurant is its own entity. Pretty much full on the night, plenty of hustle and bustle to create a good vibe and get the conversations flowing. The restaurant doesn’t offer some of the audacious cuts we see at more recently established steakhouses. No hanger steaks, New York strips or Flat Irons which is just as well really because we’ve had some bad experiences with chefs trying to trick our firmly established eating habits. No “boned” steaks either, with T-bone about the closest you’re gonna come to an “on the bone” steak. For us SteakBoyz, well we love our Prime ribs and fillets on the bone so the stock standard sirloin, rump and fillet was gonna have to be something special to muster enough points to place FBG in the mix for a 2018 win. On the night the recommended sirloins scored highly, the fillets fared well but the T-bones were a big let-down. Thankfully there were only a few takers. Sides were pretty stock standard selection for a steak house with the all-important chips and onion rings receiving glowing reviews from our hungry loud mouths! This is where FBG really stood up. A little mention of a “Steakboyz” booking seemed to have whipped up preparation frenzy. Okay, I did big us up a bit beforehand but hey, if you don’t ask you don’t get. The night started with a friendly warm welcome from Moses and his staff. We were then taken to our own VIP seating area, introduced to the staff, taken through the meat cuts and presented with our promotional bottle of Olmeca Chilli Tequila. A nice touch given it was a public holiday the next day. The great service continued through the night and was certainly noticed by all. Thanks Moses and the team. Didn’t get a chance to ask what date the restaurant was established, but most certainly remember frequenting The Famous Butchers Grill some 20 years ago back when there were probably 4 or 5 renowned steakhouses in Cape Town, FBG being one of them. Today competition is steep. Cape Town has established itself as world class food destination and decent steakhouses are abundant and sort after. It’s probably safe to say that FBG is not in the top 5 but they still serve up a top steakhouse experience at fair value with some great service thrown in.